No, Baten Kaitos isn’t a jumble of made up words; it’s Arabic for belly of the sea monster and another name for the star Zeta Ceti. 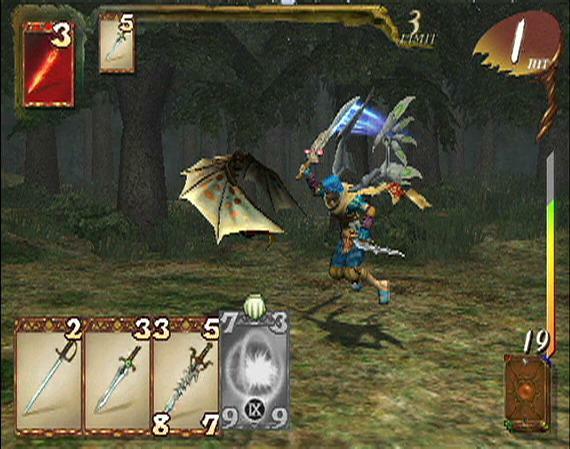 Baten Kaitos: Eternal Wings and the Lost Ocean is a role-playing game released in late 2004 for the GameCube. It was co-developed by Monolith Soft (known for the Xenosaga series and the recently released Xenoblade Chronicles) and tri-Crescendo (Eternal Sonata) and published by Namco. The game is a story of revenge for Kalas, the primary protagonist but it also focuses on his (and his compatriots) quest to save the world. I didn’t find the story or characters interesting, but what’s exceptional about the game is its card-based battle system, which could’ve been its biggest liability. 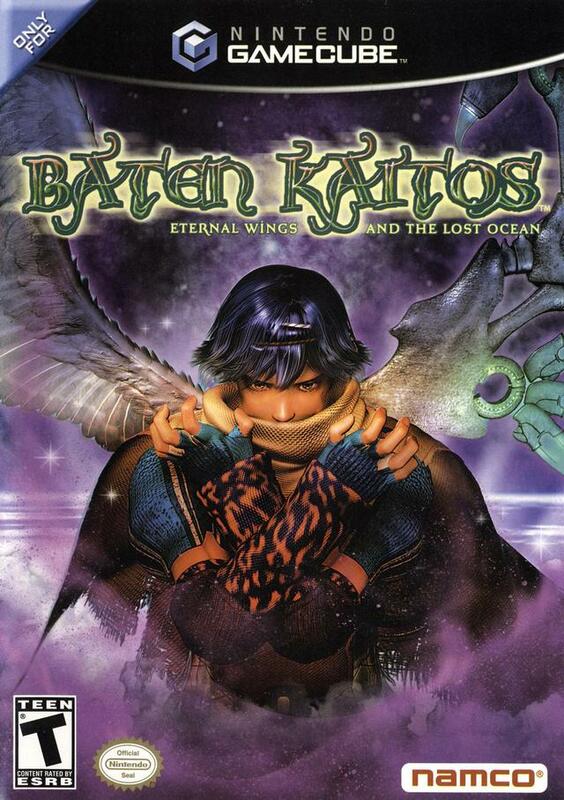 Baten Kaitos: Eternal Wings and the Lost Ocean takes place in a fantastical world, a world where landmasses float in the sky, oceans are a thing of legend, and the human inhabitants have wings. The young adult Kalas is on a mission of revenge as he searches for the murderer of his brother and grandfather. He believes the person responsible is a soldier in the imperialistic Alfard Empire. The game begins as he awakens, confused but not suffering from amnesia, in a remote village. Soon after this point, he meets Xelha, a kind but mysterious girl who believes the Empire is on the verge of unleashing a great evil. Although Kalas believes he has no need for her, they join together as their goals run a similar course. At the point I finished (about a dozen hours in), I had met a third party member: a rural fisherman named Gibari. He was beefed up and helpful in the rural town I found him in, but he wasn’t the sharpest tool in the shed. Beyond those three, I can’t comment on anyone else as I didn’t sink enough time into the game to meet anyone else. After joining up with Xelha, I visited another town or two and trekked through a few enemy-riddled areas, but the main focus was the routine run-ins with the Empire, which helped narrow the protagonists’ motives. 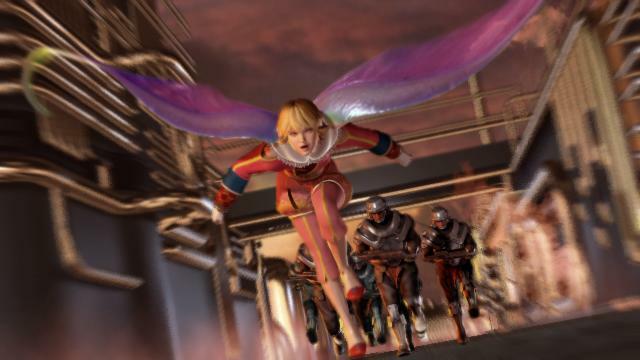 There wasn’t a ton of discussion regarding the character’s wings, and they rarely used them. I don’t really have an opinion on the general story because I only played it for a dozen or so hours, but in that time span I already knew that I didn’t like Kalas. He was off-putting from the get go with his lack of respect for others and rudeness. Of course, naïve characters are the norm for role-playing games of this ilk; I’m sure that over the course of the estimated sixty hours of gameplay, he would mature and grow as a person. A lot of my opinion of him (and others) was based on the poor voice acting and that didn’t help in forming my opinion. It’s not necessarily that characters over or under act, instead my grievance lies with the quality of the audio – it sounds like I’m listening to people in a sound booth, as if whatever audio mixing that would remove this aura wasn’t done. On the back of the game’s box is a quote from Nintendo Power: “It’s possibly the most beautiful GCN title ever made,” which I’d have to agree with. 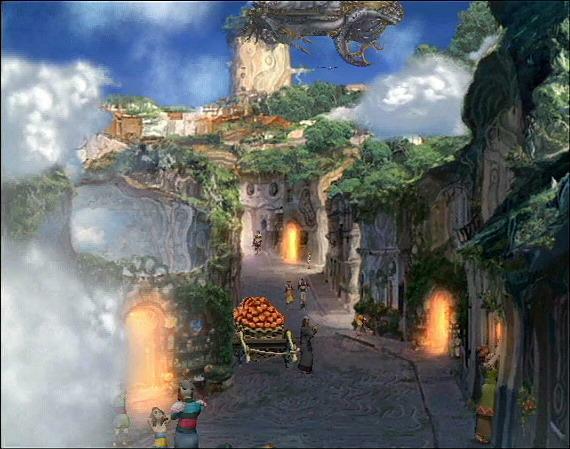 The game’s locales are like paintings that you walk around in, or like the PlayStation 1 era Final Fantasy games; they feature a fixed camera perspective with no player control of it. The pre-rendered backgrounds of the towns are intricately detailed and will often have animated bits and pieces, but because I wasn’t able to control the camera, navigating these areas was sometimes less than great; for instance when Kalas would walk into the background and shrink to signify distance from the camera. This isn’t a problem with Baten Kaitos, it’s just a style that I don’t prefer. As the land masses reside in the sky, clouds were occasionally a nuisance. What makes Baten Kaitos unique compared to other RPGs is its reliance on Magnus (playing cards) for items, attacks, equipment, and just about anything else. Each character had a deck of cards that they used in battles. As they leveled up, the amount of cards they could put into it, as well as their hand size in battles grew. Battles revolved around each character’s deck of Magnus. A good deck would contain a mixture of offensive, defensive, and healing cards that were suited to take advantage of enemies’ elemental weaknesses. In battles, characters would have a hand of cards and I’d try my best to link them together to create optimal attacks and defensive maneuvers. I found that if I didn’t suit my deck to each area and continually keep it fresh, I wouldn’t advance. The Magnus weren’t just used in battles though; they were used in place of items too. Special Magnus could capture the essence of an item, say water, and I could then use that Magnus to solve a puzzle, such as putting out a fire. I had to be careful with Magnus however, as the cards would age and their properties would change. For instance, if I had a Magnus with green bananas on it, as time passed, the bananas would ripen and the card’s effect would change. This aspect of the Magnus kept me on my toes and was in some instances, annoying. An important aspect of battles and deck building was to try and use cards that had similar numbers. For instance using three cards with the same number yielded bonuses. Card-battling games have a reputation for being obtuse, complicated, and slow-paced. Of course, they’re also known for requiring strategy, skill, and a little luck. What’s great about Baten Kaitos: Eternal Wings and the Lost Ocean is that it takes the best things about card-battling games: strategy in deck building, skillful combinations of cards, and a little luck of the draw, while reducing the negatives by speeding up the battle system and easing players into the extensive number of Magnus. It may not have captured my attention for too long, but damned if I didn’t absolutely enjoy its battle system. What a week! More precisely, I mean what a weekend. Friday night, my girlfriend and another couple went to the movies and watched The Dictator. Coming from Sacha Baron Cohen I expected disturbing language and imagery, and there was plenty of that, but I wasn’t expecting such a smart and entertaining satire of world politics. Since graduating from high school, I’ve become an incredible news junkie, and because of that, I was able to appreciate each and every poke and jab and reference. Still, without an in depth knowledge of that sort of stuff, the movie was still quite funny, in a gross-out way most of the time. Saturday night, my friend and I went to a Daughtry concert and despite my indifference towards the performer, I had a good time, especially so because we weren’t paying! The first opener consisted of an acoustic guitarist and a keyboardist, and the guitarist was laughable. He could sing well, but his insistence on reminding the audience his name (Mike Sanchez) and that we were at a rock show grew to be ironically humorous. SafetySuit was the other opener and they blew me away. They had an energy that I associate more with a punk band and that energy livened up the audience and made for a memorable set. Lastly Daughtry. Him and his band rocked a lot heavier than I was expecting and he of course performed all of his hits, but I actually preferred SafetySuit. Still, the audience clearly didn’t as they were on their feet for the duration of his hour-and-a-half set. Now I’m finally to today’s events. After work, a friend and I played tennis for three hours. It was my first time playing with him and we are on the same level, which makes any competitive event so much more fun. Throughout our session, I downed three bottles of water and a Gatorade! Despite these activities, I also put in twenty-four hours at work in those past three days. Still, life is good! What have I been up to video game wise? Well I took a break from Xenoblade Chronicles to check out (and complete I guess) Samurai Western, a PS2 action game from the Japanese developer Acquire and Atlus. I’m writing a review for the game and that should be up tomorrow or at least in the next few days. 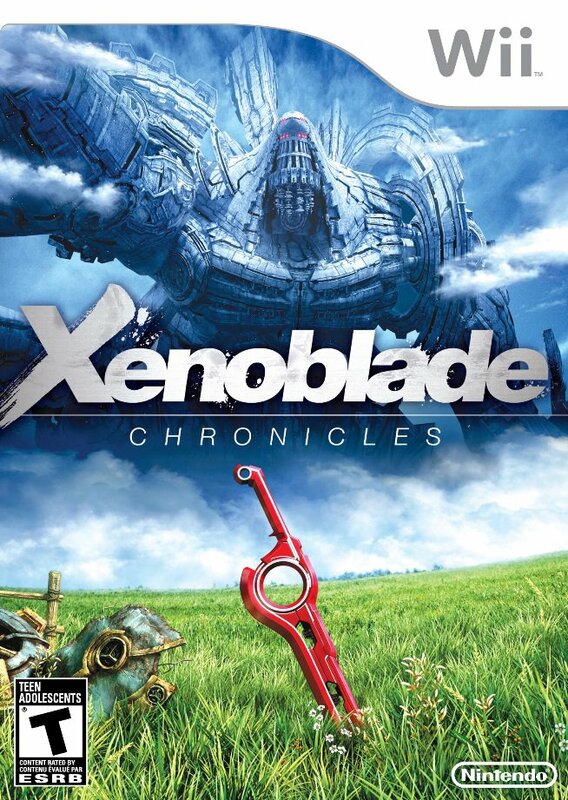 With that done, it’s back to Xenoblade Chronicles! In the aftermath of Double Fine’s outrageous success on Kickstarter, the service has received a lot of attention from smaller developers and the press. 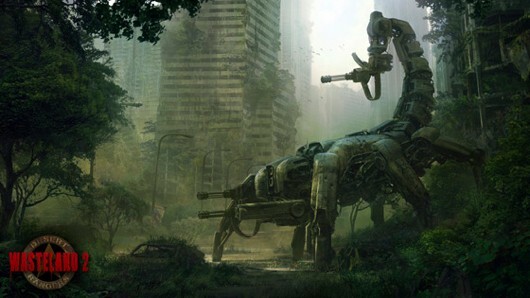 Since their achievement, other companies have turned to Kickstarter as a means of funding their projects and Wasteland 2 is the latest success story. The original Wasteland was a post-apocalyptic role-playing game released for computers in 1988. Prior to reading about the similarly stupendous success of the Wasteland 2 Kickstarter, I had never even heard of the game. In the related marketing for Wasteland 2, Wasteland is billed as the original post-apocalyptic RPG, a precursor to the Fallout series of games. In fact, Wasteland served as an inspiration for Fallout. It’s not necessarily the success of Wasteland 2’s Kickstarter that prompted me to write; although how Kickstarter, direct funding from consumers, and video games can interplay (catch the reference?) piques my interest, especially considering I’m studying business. No, instead it’s the following image. There are multiple things about this image that I find enthralling. I think the setting is the biggest facet of my adoration. The post-apocalypse is theoretically an ugly place, especially in the wake of an atomic holocaust if that’s the cause. What I see in this image though is the overgrowth of plants; being in a city setting makes it all the more unusual and appealing to me. When I begin to think about exploring this place, I can’t stop imagining what I’d find, and what the rest of this city, and world for that matter, are like. The lush, plant-ridden settings is a key factor in why I love Final Fantasy XII so much, and a big reason why I’m enjoying my time with Xenoblade Chronicles. Those games featured very open environments inducing exploration, and I wonder if Wasteland 2 will be the same. I really like the scorpion mech too. Styling it after a scorpion, gives it such a menacing look. I wouldn’t want to come upon it as an enemy, that’s for sure. It’s easy to go down a rabbit hole thinking of the scorpion mech’s construction and what mechs are like in this time, and really, what the world is like too. A colorful, vibrant, but not overly so, setting is something that immediately turns me onto a game and it’s why I might try Wasteland 2 simply upon seeing this image. I just wish I had helped fund it now.